Featuring one drawer and a lower shelf, this end table will make the most of your space. 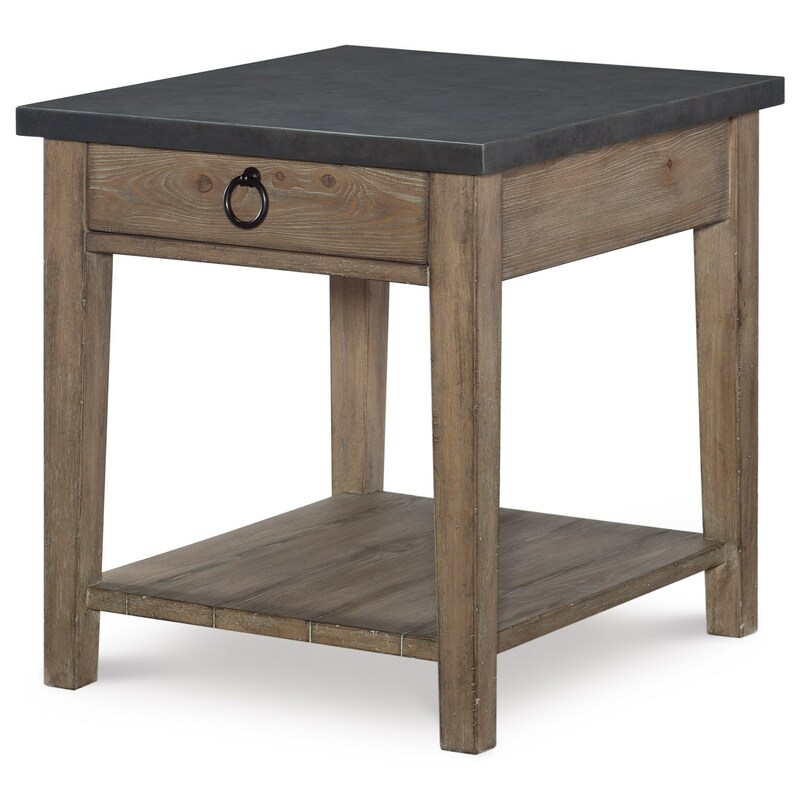 The metal top makes dealing with potential spills much easier, and provides a beautiful contrast to the distressed finish of the wood base. The Monteverdi 1 Drawer Metal Top End Table by Rachael Ray Home by Legacy Classic at Colder's Furniture and Appliance in the Milwaukee, West Allis, Oak Creek, Delafield, Grafton, and Waukesha, WI area. Product availability may vary. Contact us for the most current availability on this product. The Monteverdi collection is a great option if you are looking for Rustic Casual furniture in the Milwaukee, West Allis, Oak Creek, Delafield, Grafton, and Waukesha, WI area. Browse other items in the Monteverdi collection from Colder's Furniture and Appliance in the Milwaukee, West Allis, Oak Creek, Delafield, Grafton, and Waukesha, WI area.